The splendor of the seasons comes naturally to Fulton County where the southern Adirondack Park meets the Mohawk Valley. Fulton County is home to 44 lakes and 74,832 acres of wild forest, and is blessed with a rich, inviting history and a wealth of culture and the arts. In an area so varied, beauty is abundant in spring, summer, winter and fall, and the slate of activities is equally complete. Fulton County is rich in history and museums. Talk a historic walking tour of Johnstown’s Historic Quadrangle Corner and Walk in the Footsteps of Elizabeth Cady Stanton; visit Johnson Hall State Historic Site, the former home of French and Indian War hero Sir William Johnson; events are planned year-round at the Rice Homestead, a 1790 Colonial homestead. The Fulton County Museum, Johnstown Historical Society Museum, Caroga Historical Museum, and many others house exhibits of local worth from Fulton County’s past. Performing arts and visual arts are vital in Fulton County; community theater and civic bands are a presence in the two major cities. There are a number of art galleries in the county, including the Perrella Gallery at Fulton-Montgomery Community College in Johnstown and the Paul Nigra Center for Creative Arts in Gloversville. 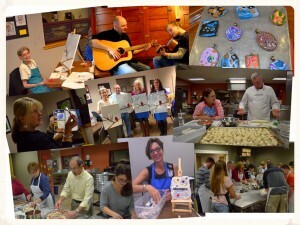 Additionally, the Sacandaga Valley Arts Network, an all-volunteer, not-for-profit, cultural development entity, annually sponsors a series of concerts, lectures, workshops and artist receptions. They also curate galleries at the Vail Mills Tourism Information Center at the intersection of Routes 29 and 30 in Vail Mills and the Northville Public Library. There also are several smaller galleries throughout Fulton County operated by individual artists who work in various media including metal, oil, watercolors, textiles and wood. The Glove Performing Arts Center in Gloversville and Colonial Little Theatre in Johnstown offer great community theater. Libraries are located in the cities of Gloversville and Johnstown, and in the villages of Mayfield and Northville. With 74,832 acres of wild forest for hunting, and its location in the southern Adirondack Park, Fulton County has a wealth of resources for hunting. Fulton County lays both in the Southern and Northern zone for hunting in New York State. 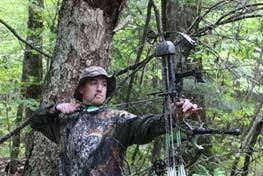 Whether big game hunting (deer, bear) or small game hunting (pheasant, turkey, waterfowl, or other upland and migratory game birds and small game mammals), using bows, muzzleloaders or rifles, you can find a place for your sport in Fulton County. Hunting is permitted on state lands, and we ask our outdoor enthusiasts to be considerate of posted private lands. Fulton County, with its 44 lakes, has some of the best fishing in any season in New York State. Of Fulton County’s lakes, the Great Sacandaga Lake, 29 miles long, and six miles wide, is the largest. 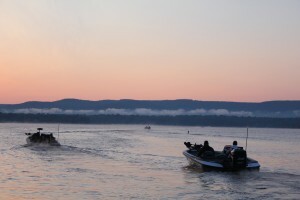 There are fishing tournaments in every season; ice fishing season is an especially busy one. The largest Fulton County ice fishing tournament is the annual Walleye Challenge on the Great Sacandaga Lake. Held the last Saturday in January, the event welcomes 1,750 fishing enthusiasts to this lake in the southern Adirondack Park. Whether you’re looking to fish in a large or small lake, stream, pond or lake tributary, you can find it all here. 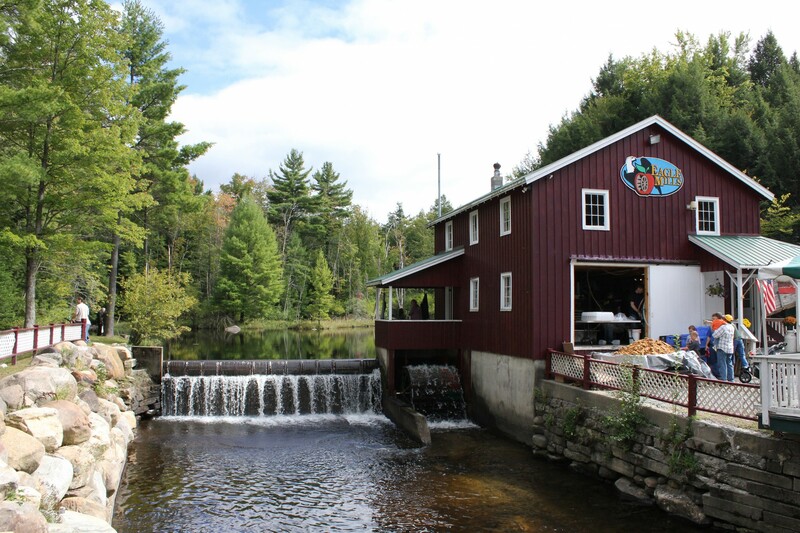 Our waters are the home to brook trout, rainbow trout and brown trout, smallmouth and largemouth bass, walleye, northern pike, splake, pickerel and many other species. Whether you seek a serene, secluded area lake or a lake full of excitement, our lakes offer many boating opportunities. Boating on our lakes, ponds and streams can take the form of canoes, kayaks, personal watercraft, sailboats and motorboats – big and small. 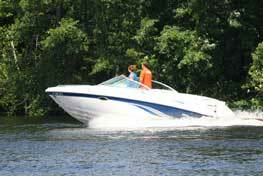 You can find public boat launches and private boat launches on the Great Sacandaga Lake, on Canada Lake, Caroga Lake and Peck’s Lake. There also are a number of marinas on each of these lakes, and boating and yacht clubs. We have great country roads for biking, as well as hiking/mountain biking trails in the Adirondack Park. Mountain biking highlights include The Powley-Piseco Road, which is described as one of the best seasonal roads in the Adirondacks and one of the last old Adirondack dirt roads. With 17 miles total, there is a little over 8 miles of this trail in Fulton County. One of our county’s biking treasures is our FJ&G Rail Trail with two sections: Johnstown at Union Avenue traveling north to Dennie’s Crossing, Gloversville and Vail Mills to the village of Broadalbin. 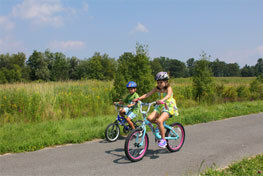 The FJ&G Rail Trail is a paved trail for biking, running, and walking. With 74,832 acres of wild forest, the options for hiking are endless! Fulton County has a number of hiking trailheads within its boundaries, from shorter 1.5 mile hikes, to advanced, multi-day jaunts. Some of the well-known trails within reach are the Northville-Lake Placid Trail (begins in Fulton County and stretches for 133 miles); the popular Nine Corner Lake trail, and the Willie Wildlife Marsh trail, where you can explore wetlands that include a viewing platform and three boardwalks that traverse a marsh and open water areas. There are seven unique golf courses in Fulton County, all with superior facilities and affordable prices. 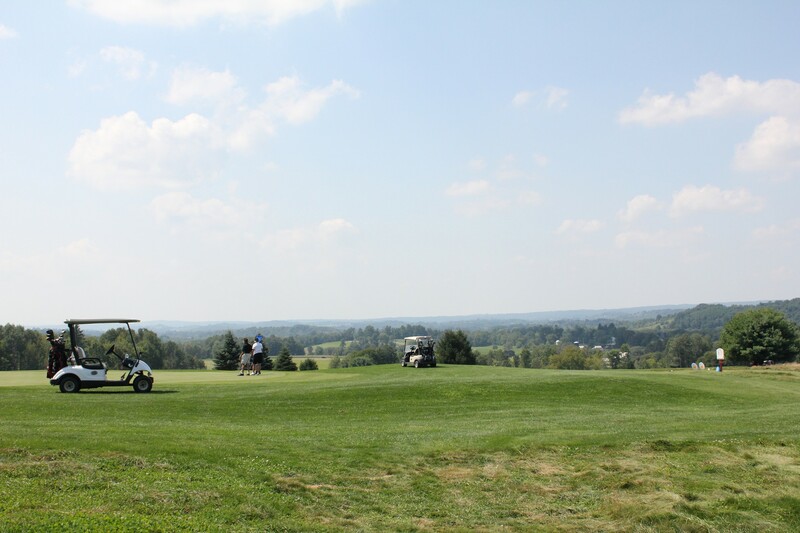 Whether you’re a beginner or seasoned player, you can enjoy a round within the beautiful Adirondack Mountains or on the rolling hills of the Mohawk Valley. 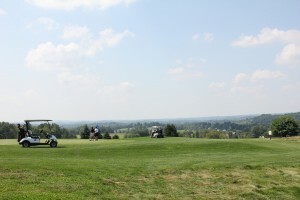 Whatever your golfing pleasure, you are sure to have a memorable experience in Fulton County! 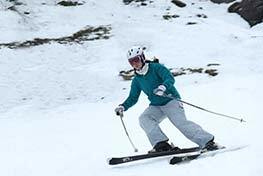 How about a day of cross-country or downhill skiing? Fulton County has its own downhill ski facility, Royal Mountain, which features snowmaking and speedy chair lift lines. There are 13 trails ranging from easy to very difficult and a terrain park. Lapland Lake Nordic Vacation Center in Northville/Benson, a cross-country ski facility, is one of the best in the country. 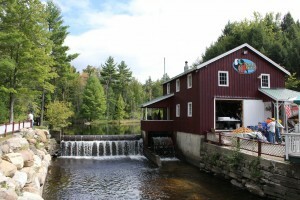 Owned and operated by former U.S. Olympian Olavi Hirvonen and his family, there are 50km of scenic ski and showshoe trails here surrounded by the pristine southern Adirondack Park. 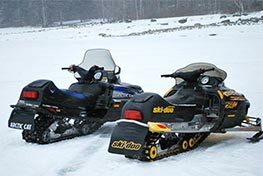 There are additional cross-country ski opportunities, starting with the miles and miles of groomed snowmobile trails. The Rockwood State Forest is a popular cross-country ski destination. Or why not enjoy a jaunt on skis along the shores of an untouched lake? Approximately 222 farms exist in Fulton County, producing dairy products, fruit, vegetables, grain crops and livestock. These farms are comprised of 38,762 acres – 24,439 acres which are harvested crop land. The average mean temperature is 45 degrees Fahrenheit. In January, the mean is 19 degrees and in July, 70 degrees. Fulton County is 533 square miles and 59% of the county sits within the Adirondack Park. Fulton County 2009 figures indicate a population of 55,053 (source: www.census.gov). Fulton County, located just north of the New York State Thruway (I-90), west of Interstate 87 and northwest of Interstate 88, provides direct linkage to all major population areas in the Northeast. State Routes 30, 30A, 10 and 29 connect the traveler to the interstate highways. Fulton County Airport provides 24-hour, year-round corporate and leisure service, including overnight parking and inside, heated storage. Aircraft charter flights, flight training and convenient local ground transportation are available. It is within an hour’s flight time from Boston, New York City and Montreal. Commercial airports and international connections are within one hour driving time. Taxi or limousine service is offered by local firms. Adirondack Trailways and the Gloversville Transit Authority provide local and long-distance bus service. Passenger rail service, available through Amtrak, is located a short drive from Fulton County. The Mohawk River is located within four miles of the county connecting the Hudson River with the Great Lakes, through a lock system. Almost every denomination is represented in Fulton County with more than 50 places of worship.